JULIA SPENCER-FLEMING: F. Scott Fitzgerald famously said that in America, there are no second acts. Fortunately, our guest today didn't listen. Suzanne Chazin had a decade-long gap between her first mystery series and LAND OF CAREFUL SHADOWS. How did she bridge the divide? By following her heart. Thanks so much for hosting me on Jungle Red. It’s an honor to be on a site with writers I admire. Today I’d like to talk a little about how I came to write Land of Careful Shadows, the first book in my new mystery series. First, a confession: I turned my back on novel writing before I wrote this book, convinced I’d never publish another novel again. In the early 2000s, I was laid off as an editor at Reader’s Digest. At the time I was working on my first mystery series about the FDNY, based on my husband’s work as a New York City firefighter. I went on to publish three books in that series. Then my mom suffered a series of strokes and died, my second child was born and my new novel couldn’t find a publisher. I felt lost in every part of my being, convinced that the only way to get ahead was to write, write, write. I started on another novel. Half way through, I put it down. The problem, I decided, was that I was writing because I wanted to publish again rather than because I thought I had something to say. What I needed was to step back, think about something that mattered to me and do it. If that meant never publishing again, so be it. I already had an idea what mattered to me. I also knew that it had nothing to do with novel writing. I live in northern Westchester County, NY, a lush, wooded region about forty miles north of New York City. It’s an area where great wealth and great need exist side by side. 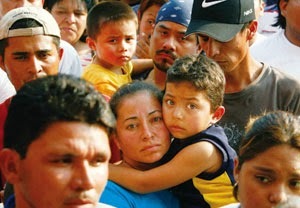 In the 1990s, Latin Americans, many of them undocumented, began to settle in the area. They mowed the lawns, cleaned the houses and bussed the restaurant tables of the more affluent in the county. 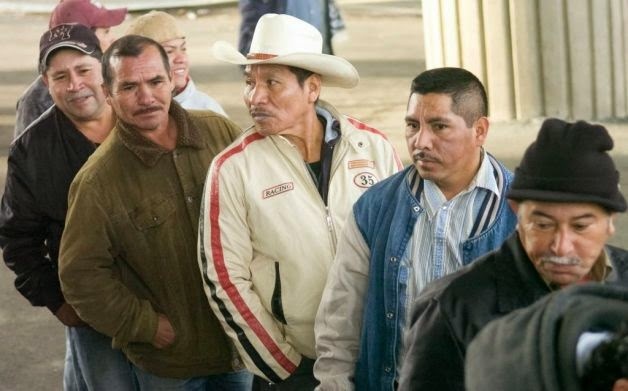 At the train station, I often saw them huddled on cold winter mornings, rubbing their hands together to stay warm while they waited for contractors to drive by and offer them work. As the daughter of immigrants (my father was from Russia, my mother was born and raised in England), I admired their grit and resilience. I knew from watching my parents that it took a lot of guts to make it in a strange land. There was one big difference however: my parents were able to acquire the legal status that allowed them to work their way into the middle class, further their educations and eventually own their own home. 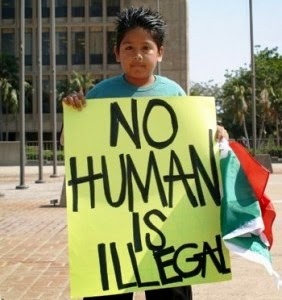 The people I saw would never get that chance, no matter how hard they worked because of their undocumented status. I’m not political, but I felt moved by their situation. I began volunteering at a local outreach center that provided English lessons and other services to new immigrants. I got to know some of the people and began to hear their heart-rending accounts of near-death journeys and tearful family separations. The writer in me began to wonder: was there some way to share their stories so that others in the community could be as inspired as I was by them? I contacted several local Hispanic organizations and suddenly found myself talking to people who, in many cases, had never shared their stories with anyone before. I interviewed almost twenty people—men and women of all ages from countries throughout Latin America. I began the project in the hopes that the people I interviewed would eventually be able to step out of the shadows. But our immigration policies have shifted very little in the past two decades. My subjects’ stories could not be told without exposing them to undue risk. The project ground to a halt. Once again, I felt the sting of disappointment and defeat. Months went by and still I couldn’t get their stories out of my mind. These people had risked so much to share them with me. I knew I had to find a way to keep them alive. And suddenly, after saying I’d probably never write another novel again, I knew I had to. It was the only way to tell their stories. I took what I knew and loved about writing mysteries and married it to something I cared about deeply. And Landof Careful Shadows was born. I hope readers love the twists and turns that come with every good mystery novel. But I hope too, that they come away with a sense of the real people behind it. JULIA: How about you, dear readers? What real-life passions have moved you to make a difference - be it writing a book, writing your legislator or righting wrongs? Join us on the backblog and two lucky commentors will receive copies of LAND OF CAREFUL SHADOWS! Find our more about Suzanne, LAND OF CAREFUL SHADOWS and her series featuring FDNY fire marshal Georgia Skeehan at her website. You can also friend Suzanne on Facebook, follow her on Twitter as @SuzanneChasin and read her blog, Writing with Oven Mitts. Sometimes I think the little things that people do might be the ones that make the most difference. Never having been [as far as I know] in a position to be able to right some egregious wrong, the "simple things" we do . . . helping to build Habitat houses or run clothing and food ministries . . . might actually be the very thing that makes a difference, be it for one person or for many. Suzanne, I've enjoyed your earlier firefighter books and I'm looking forward to reading "Land of Careful Shadows" . . . . Thanks so much Joan. I think it 's the little things that do make a difference . I lead my 11 year old daughter' s Girl Scout troop and there is nothing more gratifying to me than working with the girls at the food pantry. Thanks Thelma. It's great to be back--and even better to feel charged up with a sense of "why" I'm writing again. Congratulations on all your wonderful recent spate of well deserved awards, Hank. I've been following them from afar. Fabulous, inspiring post--thanks for sharing it with us Suzanne. Thank goodness you had a compelling story to tell--in my case anyway, it's very easy to lose momentum if I don't write for a while. And also so interested in your comment about how you were writing to "get published"--would love to hear more about that! I'm typing this on a train to manhattan that is lurching a bit but I wanted to answer your excellent question, Roberta. I think Anne Lott mentioned the same dilemma in her classic, bird by bird when she spoke about "sort of" wanting to write and "really" wanting to be published . When I was writing land of careful shadows I was obsessed with bringing these characters to life. If someone had said the only way to do that was to take my name of the book,I would have done it . That's how much these characters meant to me. I don't know if every writer needs to get to that point (let 's hope not!) but got me , that's how I knew I was on the right track . I think this is where fiction gets "real" - you can tell the stories that would get people in serious trouble if you wrote them in non-fiction. 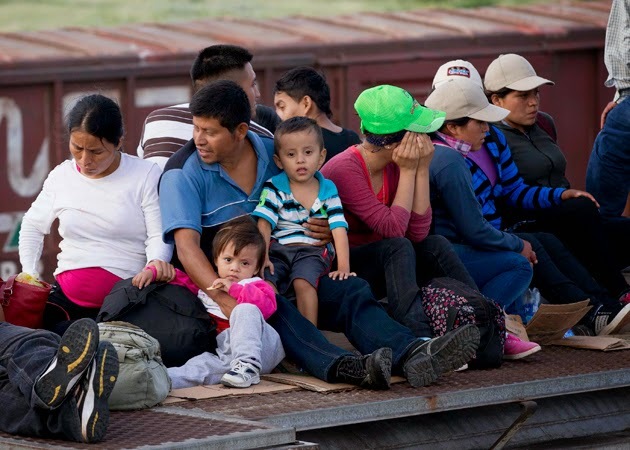 Fiction is "make believe" but the realities (in this case, the plight of undocumented immigrants) is very real. The book sounds fascinating, Suzanne. Thanks Mary. I hope it strikes a chord. 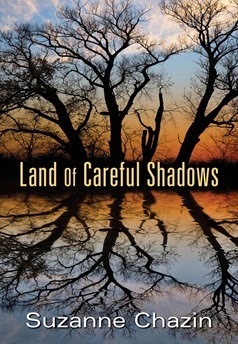 I'm glad Suzanne was able to join us, because I had the pleasure of reading LAND OF CAREFUL SHADOWS for a possible blurb (which I gave enthusiastically) and was impressed by the way she blends the "fun stuff" - characters, mystery plot - with meaningful and thought-provoking insights into the issue of undocumented workers in the US. I have argued before that the most valuable service a novelist performs is to allow a reader to step inside the head and heart of another person and live as someone else for a while. Suzanne does that. I agree Julia. My favorite part of writing novels is becoming someone else and looking at the world through their eyes. I feel so honored to have your endorsement on the back of my book since I'm such a fan of Russ and Claire and all the folks who inhabit millers kill. Suzanne, I admire your decision to write a story that matters to you, rather than one that would be publishable. I confess to having picked up a mystery here and there, read a little bit, then put it down never to return to that author/series. In those cases, it seems to me that someone has reviewed the field, saw a niche, then found a slight twist on the existing series and began a new one--or hired someone to write a new one. These books might be a pleasant way to while away an hour or two, but the characters don't touch you, the plots are predictable, etc. I love your title, your cover, and the backstory compelling. I too live in an area with a long history of Latino immigrant workers--in the fields and orchards. People new to the area are surprised at the Latino population--people who worked here and decided that the schools were good, crime low, and that it would be a good place to raise a family. As for what matters to me--I was able to create and lead a series of creative writing workshops for AIDS healing retreats--for those living with HIV/AIDS, and their families, friends, and caregivers. I will forever cherish the laughter, the tears, the profound stories that were shared. Good for you that you've been able to put your your skills to work to help those with aids. I've always felt that the chief purpose of writing and reading was to grow by sharing experiences and different ways of looking at the world. I think any sort of writing that does that--fiction or nonfiction--offers people hope and shared experience. I wish you good luck with your writing group.thanks for sharing. When Tillie Oleson wrote Silences in 1978, one of the things that was suddenly said, rather than intuited by many women who had not shared the fact before, was that women interrupted their careers-- especially their writing-- because of family obligations: raising children, taking care of elderly parents, running a household for the benefit of everyone else in the family. She was explaining a long hiatus in her own work, and in doing so, explained those gaps for the rest of us. But our minds keep churning during those lost years, and I think that such lacunae make for a more mature writer, one who, like Suzanne, now has something deeper to say. This is not to say that writing talent and style isn't there in our youth, or even that the books we write when younger aren't good, but that when you have seen what life dishes out, and learned to cope with it, you do have more to say. Congratulations, Suzanne, on Land of Careful Shadows. I look forward to reading it. I remember a particularly down time when I told everyone there was no longer a "Suzanne Chazin." There was only "mrs. Dunne" )not that my husband made me feel that--it was just the circumstances of my life. I will never forget one friend who told me that nothing is wasted on a writer and I would write when the time was right. I guess it's all about faith--in yourself and in those around you that nothing in you does--at least not if you don't want it to. Dear Suzanne, welcome to Jungle Reds! Wow, what a powerful story you tell about needing to tell a story, not just be published. I look forward to reading your work. Thanks Susan. I hope you enjoy it. What a great post, Suzanne. I'm definitely adding this book to my TBR list. I've spend a lot of time in Latin America -- I volunteered in Costa Rica and Panama two summers in high school. And after college, I worked down there for three years -- Ecuador and Brazil. I loved the people, and I saw the poverty firsthand. I understand from their point of view the dream that is America. It's laughable to think about, but the land of Baywatch was a real thing to many of the people I met. Where everyone is happy and healthy and safe and problems can get solved relatively easily. Certainly, in the land of Baywatch there are no repressive regimes, militias, drug cartels, and double-digit inflation. I love the story of your publishing journey. I was also intrigued by you statement about writing to get published. I feel a little bit that way right now. I feel a sense of hurry-hurry-hurry with a revision (second novel) that's taking too long -- get-it-out-there, get-it-out-there faster faster faster ... rather than, get it RIGHT, then get it out there. Funny you mention about the power of American TV, Lisa. 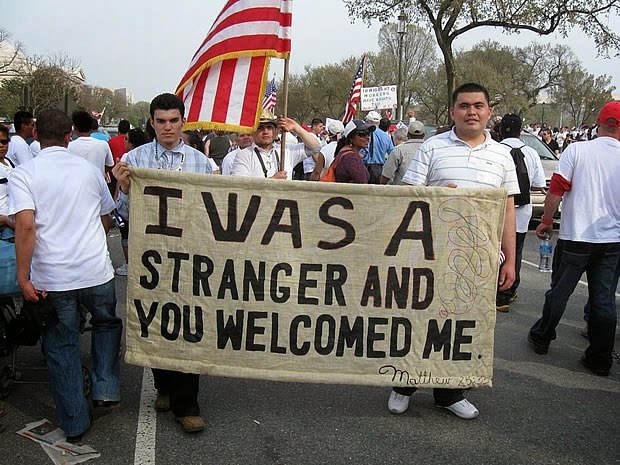 I met several immigrants whose first sense of the us was formed that way and it stayed with them. My own mom had a fascination with cooecticut her whole life because during WWII when the bombs were dropping on London she saw the bing Crosby movie holiday inn and was convinced that was what Connecticut was like. I know how hard it is to just want to get your book out there but it is really important to take that time to make it the best you can. You'll look back and be glad you did. Such a wonderful story, Suzanne -- most of us bottom out at some point in our writing lives. So glad you were inspired to come roaring back. Thanks Hallie. Reading all those great books you guys write helped inspire me. I look forward to reading your new book and I also want to read what you've written in the past. Thank you for sharing your story here today. It would not surprise me to hear someday that your new book has inspired people to get involved in issues they might not otherwise have even been aware of. If even 1 person was inspired to get involved as a result of the book,I would feel the deepest sense of satisfaction. Real people inspired me to write the book and I'd love to see real people benefit. I find that we can access so many important issues in novels. All of the Jungle Reds' write novels that touch cords of concern and social issues, either in present day or days gone by. From women's issues to human toll of foreclosures to PST of war veterans (both men an women) to senior citizens' being taken advantage of to teen homelessness to terrorism threats to blended families. These are but a tip of the iceberg in our wonderful Reds' books. Suzanne, you sound like such a thoughtful and caring person that I am certain Land of Careful Shadows must be full of your passion for your subject and, thus, a great read. How wonderful that you are using your writing talents to highlight an issue so important to so many people. Writers write, painters paint, sculptors sculpt, singers sing, dancers dance, and we all benefit from the stories they tell of people and their struggles and their triumphs over adversity. I agree Kathy. The jungle red writers' novels are perfect examples of books that are fun to read but still make people think. When you come right down to it, art and thought are the only things that survive intact. That's all we really have. 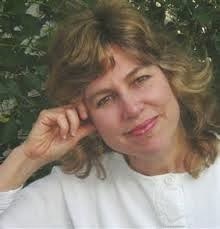 Suzanne -- sometimes it is necessary to "let go" in order to replenish. Having lived in your part of the world in the late 80s and early 90s I was there at the start of what you are talking about. I'm glad you found your inspiration and look forward to reading your book.